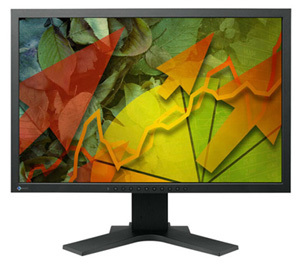 Eizo have released details of their new S-PVA based 22" model, also featuring a full 1920 x 1200 resolution. The new S2242W also comes with a 12ms response time, 1200:1 contrast ratio, 350 cd/m2 brightness and 178/178 viewing angles. 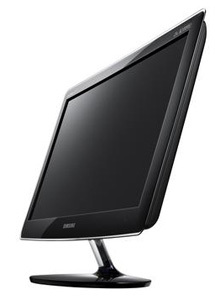 The screen offers D-sub and DVI interfaces and offers a fully adjustable stand. The colour gamut covers 92% of the NTSC colour space. The new S2242W also features an integrated ambient light sensor for dynamic control of the screens brightness, based on your working environment. The new model should be available in Germany first, and is expected to retail for around 550 Euro. Samsung have released details of two new monitors in their SyncMaster range. The 20 inch F2080 and 23 inch F2380 use 10% recylced materials for production earning them the Gold EPEAT rating. The F2080 offers a 1600 x 900 resolution, 8ms G2G response time, a massive 150,000:1 contrast ratio (dynamic presumably), 250 cd/m2 brightness and 178/178 viewing angles. There is a D-sub and 2x DVI interfaces available. 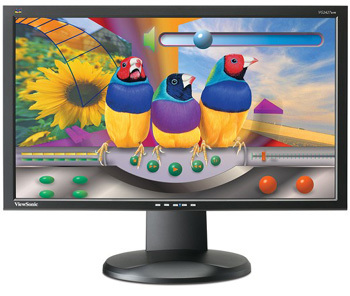 The larger F2380 offers the same spec, but with a 1920 x 1080 resolution and 300 cd/m2 brightness. Interestingly these new models are listed with a panel technology of "cPVA" which appears to be a new flavour of Samsung's Patterned Vertical Alignment technology. I don't know much more about it than that at the moment, and the actual modules used don't appear to be listed on Samsung's website at present (there are only TN Film based 23" modulesin fact), so further info is unknown. There is talk that these new cPVA panels might represent a mid-point between TN Film and S-PVA and perhaps they are a cost effcetive solution similar to the recent e-IPS panels we have seen in models like the Dell 2209WA? More info as we get it. 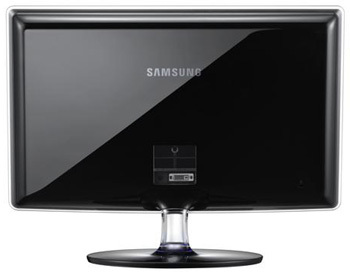 The Samsung SyncMaster F2080 will come to the market at a price of 229 Euro. The SyncMaster F2380 will be available priced at 299 Euro. Both models will be available from the end of June. Dell have released details of three new models in their range, following the current "green" trend we see in the market. These new models come in sizes of 17, 19 and 22 inches with model numbers of E170S, E190S and P2210 respectively. The E170S and E190S have a chassis composed of 25 percent post-consumer recycled plastics while the P2210 makes use of halogen-reduced materials. All models are EPEAT Gold and EnergyStar certified. Prices are low for all these new models, with the E170S and E190S set to retail for $110 and $130 USD each. The P2210 is set to retail for $240 which is still pretty decent. Specs and features are pretty modest as you would expect, but the 22" model does at least offer DVI and DisplayPort connctivity as well. Further info and specs on Dell's website, although all three models are predictably TN Film based. 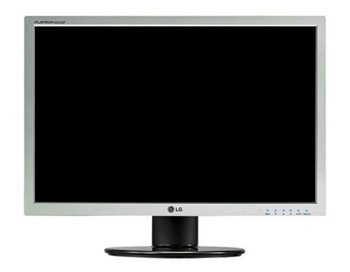 LG.Display have recently announced the successful manufacture of a new 23 inch monitor panel, supporting 3D image technology. As well as supporting 3D content, the panel is alaso said to be industry leading in terms of display brightness from a 3D panel. 3D LCDs apply time-sequential technologies so that the right and left eyes see different images. This makes the images look three-dimensional for human eye. In conventional 3D LCDs, the technologies were generally installed outside the panel or into the viewing glass. 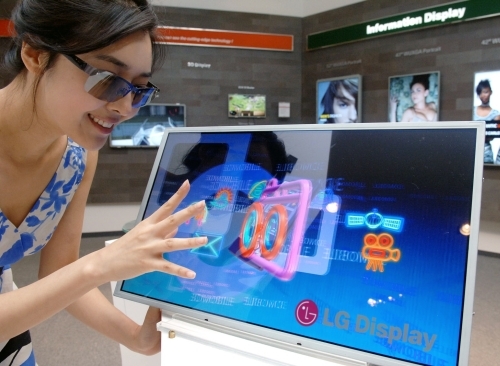 However LG Display embedded most of the 3D technologies directly in the panel, which enabled this product to make 3D viewing brighter and overcome the previous technical limitations. Specifically, 3D viewing is possible with low-priced polarized glasses—translating into economical benefits for the consumers, while conventional 3D LCD panels usually require special viewing glasses which are costlier. There is no other information about panel specs as yet. LG Display will showcase its new Full HD 23-inch 3D LCD panel with enhanced brightness and more during the upcoming Society for Information Displays(SID) 2009 in San Antonio, Texas U.S.A.
We recently reviewed the LCD2490WUXi screen as it began to hit European shores. Elsewhere, in Japan for now, it seems NEC have updated the model slightly in line with their recent upgrades of their 30" and 26" screens, including the popular LCD2690WUXi2. The updated 24" model, now dubbed as the LCD2490WUXi2 is set for release on 3rd June in Japan for the equivalent of about $1431 USD. Specs have changed a little, but the panel is still IPS based thankfully. Brightness is now listed at 320 cd/m2 instead of 400, and gives us a static contrast ratio of 1000:1 instead of 800:1. Other specs and features remain unchanged as compared with the original 2490WUXi as far as we can tell at this time. Hot on the heals of the P2070 monitor we discussed a few weeks back, Samsung have now announced the release of their 23" P2370 and P2370HD models. The former of the two offers a thickness of only 30mm, while the latter is a little more "chunky" at 65.5mm. 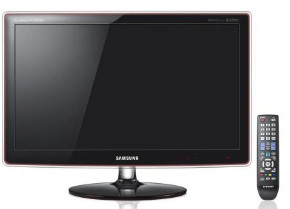 These new models again feature Samsung's ToC (Touch of Colour) design and 1080p HD support. The P2370HD is basically the same as the P2370, but features an integrated DTV tiner, speakers and comes with a remote control for that all-in-one multimedia solution. The HD version also offers additional HDMI and component connections. Both screens offer a 1920 x 1080 resolution from their 23"WS TN Film panels. This comes with a 2ms G2G response time (5ms on the HD version only), 1000:1 contrast ratio (50,000:1 DCR), 250 cd/m2 brightness and 170/160 viewing angles. NEC already have their EA221WM screen out in the market, but have decided to release an updated "energy efficient" version as well. The new EA221WMe (notice the "e" on the end!) offers the same design and spec as the original version, but NEC have trimmed down the number of CCFL backlight tubes being used to save on power by > 30%. The NEC press release states: "By saving on two backlights the NEC MultiSync EA221WMe demonstrates outstanding energy efficiency and features a low overall power consumption of 26 Watts and just 19 Watts in Eco Mode. Positioned for ease of use at the front of the display, the new NEC One Touch Eco Button instantly allows the display’s brightness to be reduced to enable even greater energy savings. 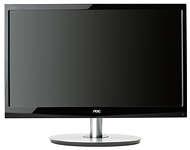 The NEC MultiSync EA221WMe is also one of only a few monitors on the market to achieve EPEAT “Gold” certification (black model only). In addition the NEC MultiSync EA221WMe satisfies all the requirements for the forthcoming Energy Star 5.0 specification." The 22" widescreen offers a 1680 x 1050 resolution TN Film panel. This has a 5ms response time, 1000:1 contrast ratio, 250 cd/m2 brightness and 170/160 viewing angles. There is a DVI-D (with HDCP) and VGA interface available, and the stand is fully adjustable. The screen retails for £219 GBP. 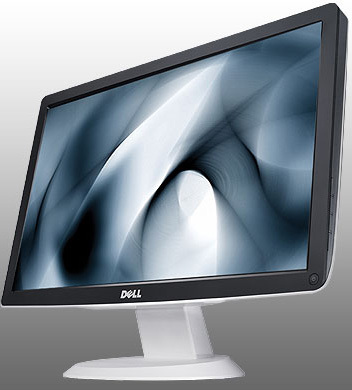 Dell have released details of their new 20" LCD monitor, offering a design in line with their XPS and Dell Studio systems. Being 16:9 aspect ratio rather than 16:10, the new screen only supports a 1600 x 900 resolution, rather than the full 1680 x 1050 resolution normally used in this sector. 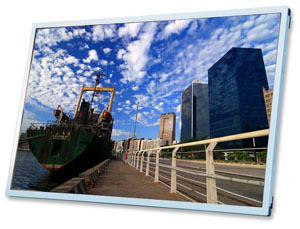 The TN Film panel offers a 5ms response time, 1000:1 contrast ratio, 250 cd/m2 brightness and 160/160 viewing angles. The stand offers a basic tilt adjustment only. Nothing staggering there really. There is an HDMI interface along with the usual D-sub for connecting external devices. The only other thing to note is that the screen uses a 2 lamp backlighting unit, and so power consumption is as much as 25% less than comparable models with 4x lamps. Seems to be the trend at the moment...No word on availability, but it is expected to retail for around $130 USD. 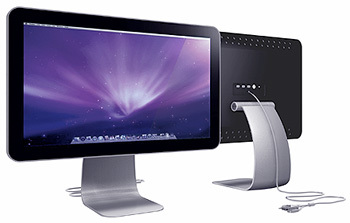 If you're looking for a lower cost alternative to the fancy Apple Cinema Display screens, Collins America are here to help with their new "CinemaView" range designed for Mac users. The 3 new models are all Mini DisplayPort enabled and come in widescreen formats of 19, 20.1 and 24 inches with resolutions of 1440 x 900, 1680 x 1050 and 1920 x 1080. The design, name and interface options are all very similar to Apple's models, but the price is where there is a big difference. Apple's 24" LED Cinema Display retails for $899 USD, but Collins America's 24" model retails for only $499. You will lose the LED backlighting unit, and the screen is TN Film based as opposed to H-IPS in Apple's model (in fact all 2 models are TN Film based). The models still feature and aluminium frame and stand, and features a tilt adjustment and glossy glass front screen cover. If you want something with a sleak design and similar to Apple's monitors in features, these might well be worth a look. Viewsonic have quietly announced the release of their new 24" 1080p monitor. The VG2427wm offers a 1920 x 1080 resolution, 20,000:1 dynamic contrast ratio and 300 cd/m2 brightness. The screen also feature integrated stereo speakers, 2-port USB hub and a height adjustable stand. The screen retails for $499 USD. 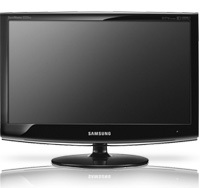 Samsung have recently announced the release of a new 23" model in their range. The new 2333HD will offer a 1920 x 1080 resolution (1080p compliant), 5ms response time, 10,000:1 dynamic contrast ratio (1000:1 static), 300 cd/m2 brightness and 160/160 viewing angles. The new screen is obviously TN Film based, but does feature a few multimedia extras including 15pin D-sub, DVI-D, 2x HDMI and Component interfaces. There is also an integrated DTV Tuner and an Optical Out for audio. There is only a basic tilt adjustment, but this could prove a fairly cost effective way of getting a combined desktop display / LCD TV. The new SMART series from LG is designed to "reduce eye-strain during extended use". The so-called SMART technologies inclue things like an ambient light sensor which automatically adjusts the brightness of the screen depending on ambient lighting conditions. The new LG W53 SMART Monitor Series also incorporates a 'Cinema Mode' that eliminates distractions while watching online videos. This works by greying out the areas of the screen which are not showing the video itself, so your eyes are not distracted by other content on the page such as adverts. There is a proximity sensor that activates the light whenever a hand approaches its operational buttons, making them easier to see. The lights are also turned off during normal use to make them less distracting. LG’s W53 SMART Monitors are available in sizes from 18.5 to 27 inches. 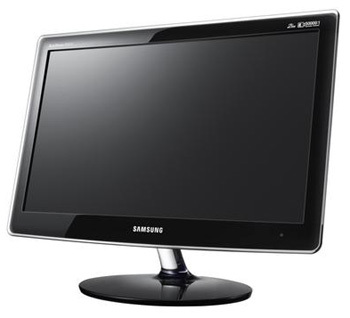 Monitors larger than 21.5 inches offer 1920 x 1080p Full HD resolution with a 16:9 aspect ratio, making them the perfect fit for Full HD movies and games. 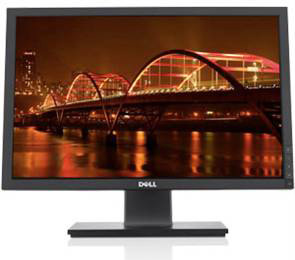 The monitors also boast a digital fine contrast ratio of up to 50,000:1 and a 2ms response time. LG’s W53 SMART Monitors will be available in major markets around the world including U.S., Europe, Asia, the Middle East and Africa, South America and CIS starting in April of this year. 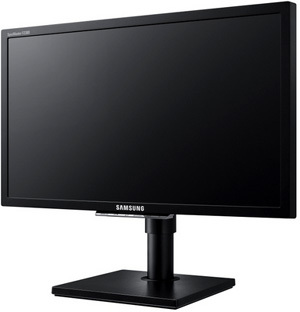 Samsung have released details of their new 20" widescreen P2070 monitor this week. The new screen comes in an impressive new design and is a mere 30mm thick. The unique design combines a transparent base and screen frame made of two technologies TOC (Touch of Color) create inexpressible feeling of airiness. This leaves you to enjoy the image on the screen while the bezel and stand are discrete and sleek. Through the use of a new generation of the automatic control of energy consumption, power consumption is reduced by almost 33% compared to conventional models of monitors. The P2070 features a 1600 x 900 resolution, 2ms G2G response time, 1000:1 static contrast (50,000:1 dynamic), 250 cd/m2 brightness and 170/160 viewing angles. The panel is TN Film based, and this model offers a basic tilt adjustment and DVI-I interface. 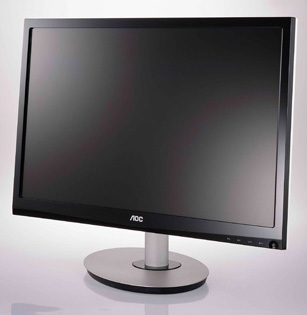 AOC's new "Angelo" 23.6" monitor has impressed jurors of the 'Rd Dot Awards' this week, who awarded it winner of the 2008 product design category. 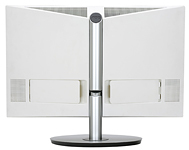 This is attributed, according to AOC's press release, to the screens oval base and ultra-smooth height adjustment. Overall the screen offers a clean and simple modern design. 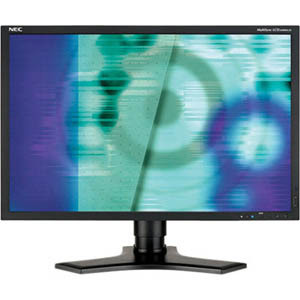 The 2434Pw offers a 23.6"WS panel with a 1920 x 1080 resolution, 2ms G2G response time, 60,000:1 dynamic contrast ratio, 400 cd/m2 brightness and 170/160 viewing angles. There are D-sub and HDMI connections available. The 2434Pw is equipped with an analogue and an HDMI connection and has two integrated 3W loudspeakers. 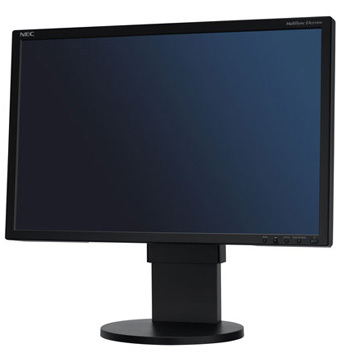 The Angelo LCD TFT monitor is available now from all European AOC distributors. 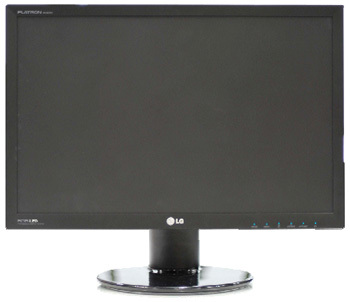 LG.Display have updated their online catalogue of monitor panels, featuring a couple of new additions. The only noteworthy addition is perhaps the new 25" widescreen module, the LM250WF1. This is a new panel size in the market, and this is the first of its size we have seen so far from the mainstream manuafacturers. The new panel is TN Film based and offers a 1080p resolution and 5ms response time. The full specs of the new panels are shown below, and have been added to our panel parts database as well. LG have recently announced the launch of their new W20 series of screens, featuring a range of features including IPS panel technology, and even RGB LED backlighting in some cases. These new screens and aimed primarily at graphics use and for people who need accurate colours. "With the W20 series, we are serving both graphics beginners and users with professional demands”, explains Nils Seib, Manager for Public Relations, LG Electronics Deutschland GmbH. All models in the W20 range feature 2x HDMI interfaces, DVI-D (HDCP supported) and a D-sub interface for connectivity. Each comes with a height-adjustable rotating and tilting base as well as touch-sensitive surfaces and hotkeys. 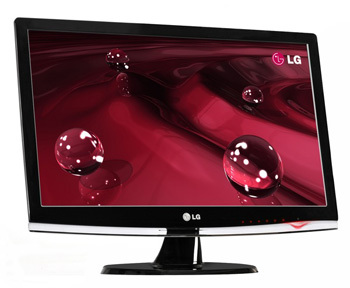 The LG W2420R is available from May priced at 1,630.00 Euro, while the W2420P and W2220P are available from July and cost 400.00 Euro for the 24-inch model and 260.00 Euro for the 22-inch model.